The MIAD (MIssion ADaptable) GEN 1.1 Grip is a drop-in replacement for the standard AR15/AR10 grip, now available in two dedicated configurations to fit most receivers. It is designed to improve ergonomics with interchangeable front and rear straps for personalized hand fit, an aggressive texture for positive weapon control, and is compatible with all Magpul grip cores to adapt to various storage needs. This update to the original MIAD has improved strap retention and also comes standard with the newest grip core that holds an included 1/2 oz. lubrication bottle. Two sizes are available- this TYPE 1 Kit (MAG520) fits most 5.56x45 and 7.62x51 AR receivers and the TYPE 2 Kit (MAG521) which is required for some 7.62x51 size receivers*. All mounting hardware is included. * NOTE: This TYPE 1 Kit fits AR15/M4's as well as many 7.62x51 variants such as the CMMG MK3, CORE Rifle Systems CORE30, HK 417/MR762A1, LWRCI REPR, Mega Arms MATEN, POF P-308, Ruger SR-762, and SIG716. The TYPE 2 Kit uses taller backstraps for optimized fit with certain 7.62x51 receivers such as the Armalite AR-10A/B/T, DPMS LR308, KAC SR25, LaRue OBR, LMT .308 MWS, and S&W M&P10. Some additional 7.62x51 makes might require either the TYPE 1 or TYPE 2 Kit depending on the generation of the weapon and/or other considerations. In general, the TYPE 1 Kit will fit most all 7.62x51 AR lower receivers but there may or may not be a gap between the backstrap's 'beavertail' and the receiver. This gap is purely aesthetic and will not affect function. 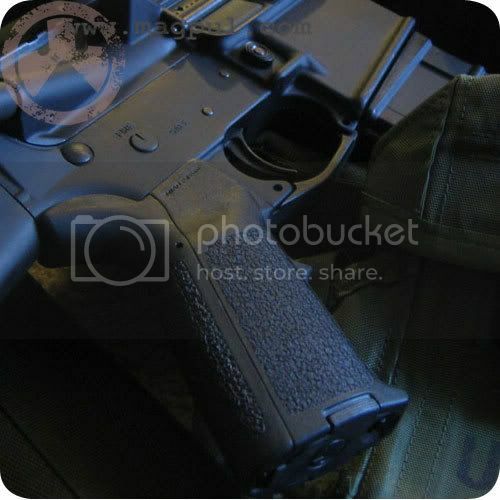 NOTE: Integral trigger guard is no longer available except for ODGreen.